Writing a powerful introduction can be quite challenging. This is mostly because the introduction is placed at the beginning of your writing – so, it plays a crucial role in your reader's decision on whether or not to keep reading whatever it is that you have written. This is why, should your introduction fail to captivate your reader's attention, the rest of your writing will most likely be in vain. A successful introduction, on the other hand, gives the reader a short glimpse at the subject you are writing about and at your argument on this subject. As we have already pointed out, this information needs to be presented in a way that gets your reader interested in reading the rest of what you have written. 1. Start off with something general, but make it easy to move on to more precise points. If you don’t have a vast experience in formal writing, it is easy to get confused as to how general you should speak in your introduction. For example, writing about the Russian-Georgian conflict in 2008 may easily get you carried away into the depth of the history of the Russian Empire up to its end and the formation of the USSR with its consequent fall-apart and the international relationships that arose afterward. Obviously, this is not what your introduction should be like, because you will only get your reader overwhelmed with information and confused as to what your writing is actually about. No reader ever wants to be confused – they always want to know exactly what the further read will be about. Readers like to be prepared to the information that they are about to receive, and this is your ultimate mission when you are writing your introduction. Your mission is not to share every piece of knowledge on the subject there is to know. So, when you start off with general information, only mention the bits closely and directly relevant to your thesis statement. 2. Set up the background, but keep it neutral – for now. Here, your task is to give your reader a bit of background information on the subject, so that the issue that you will be discussing in the main body of your writing can be viewed in a context. Remember, however, that the introduction is not the place where you begin your argument – save that for the main body paragraphs. This requirement may seem vague, but, in reality, all you need to do is to ask yourself a few quite simple questions: something like – “does this information substantiate my claim?”, or “does this information support an opinion?” The answer should be no. The information on the introduction should not bias your reader or make you look biased this early. If, however, the answer is yes, it does not mean that you should leave this bit of information out altogether. It only means that it does not belong in the introduction, but rather its proper place in one of your main body paragraphs. 3. Introduce your main statement. In most writings, your main statement should be placed somewhere among the final sentences of your introduction, just before you move on to the main body of your writing. So typically, you will make no mistake by putting your main statement in the last sentence of your introduction, thus setting a smooth narrative transition between the latter and the main body where your argument points and their supporting evidence are. 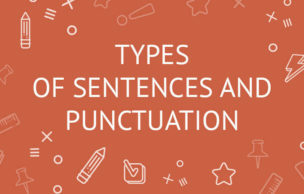 However, if you clearly see that your main statement fits better elsewhere – for example, in the sentence before the last one in your introduction, you should place it there without a doubt. 4. Keep the information relevant. Sometimes, it can be advised to start off with a joke or a rhetoric question to hook up your reader. However, it only makes sense when this joke or question is directly and obviously relevant to the subject-matter of your writing. If your essay is about a well-known politician, you are welcome to include an anecdote from his or her biography. If you are writing on a controversial topic, you are more than welcome to start off with a rhetoric question to the point. If you are writing about a historical event and you have the urge to start off with a joke about how you hated your history classes when you studied it at your elementary school, then it is obviously not such a good idea. The same principle applies regardless of what exactly you start off with – stats, quotes, general information, etc. 5. Do not try to replicate what has already been done. Suppose you have stumbled upon a great essay that was written some time ago and covers a similar topic. The author decided to start off with defining something s/he was talking about in that essay, and it was quite effective. It may be tempting to repeat this scheme and start your own essay with a definition. It is true that some time ago starting essays with definitions was a quite popular trend, but then this device went overused and became a cliché. Nobody likes a cliché; so try to avoid such temptations. Clichés make your reader like you are about to say something that has already been said a thousand time before, so even if they continue reading your writing, it will be with this predisposition to boredom. 6. Don’t start with an introduction. Just because your introduction is the first thing that your reader will read, it does not mean that it also has to be the first thing that you write. It is quite challenging to introduce something that is not yet written, so – unless you have a clear and detailed outline of your entire writing in your head – you will probably have a hard time writing an introduction to your writing before you have the writing to talk about. 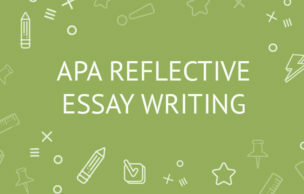 Many essay writers complain that starting off is the toughest part of the writing process. It is the most common place to encounter a writer’s block. Well, the obvious way to dodge this writer’s block is to go on to writing other parts of what you have to write, such as the main body or even the conclusion, and then return to your introduction when you’re ready. Upon reading your introduction, your audience needs to be left with a feeling of curiosity about the rest of your writing. They should see how relevant it is to their interests or even their lives. You can also add some shock value to your main statement and leave your reader wondering how in the world you will support such an argument. Either way, remember that your task is to engage the reader.